Whilst using flashes used to be a no-brainer for any aspiring studio photographer, continuous lighting is becoming more appealing of late. As well as the obvious benefit that it can be used for video shooting, constant lighting offers a lot for stills shooting too. You don’t need flash triggers and there’s no need to chimp, since everything is what-you-see-is-what-you-get (WYSIWYG). Thanks to LED technology, continuous lighting won’t make your models sweat or set fire to your studio any more (always a plus). But how do you fit your softboxes to a big rectangular LED panel? Rather than throwing out all your old flash lighting modifiers, you can now combine them with cool-running continuous lighting, thanks to a new category of ‘monobloc’ form-factor LEDs. Here are a few I’ve spotted, all with Bowens S-type accessory mounts. Update (2013/06/06): added the Priolite LED400 to the list. Now there are eight lights. Aurora Lite Bank is a Korean manufacturer that makes a range of entry-level to professional photography gear, but their continuous lighting is decidedly high-end, catering more to television studios and the like rather than mere hobbyists. Their Bowens-mount LED light, the 1000S, has a correspondingly steep price tag at 1,320,000 won — that’s around US$1,200 each. Still, it’ll work with all of the company’s studio softboxes, so could be handy if you rent or buy your kit regularly from a local Aurora dealer. 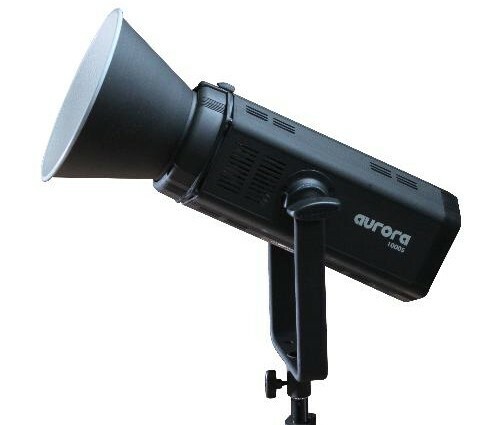 The Aurora 1000S has output intensity “equivalent to a 1kW tungsten light”, dimmable from 0–100%, and is available in either 5400K or 3200K variants. Each head weighs 2.5kg and accepts worldwide mains voltages. A budget option, the $324.95 Fotodiox Pro LED Video Light claims to have “a high light output that rivals most lights today” while producing “practically zero heat”. It draws 100 watts of power from a beefy 100–240V mains adapter, with an output of 7,600 lux/metre (dimmable) and a specified CRI of 85. 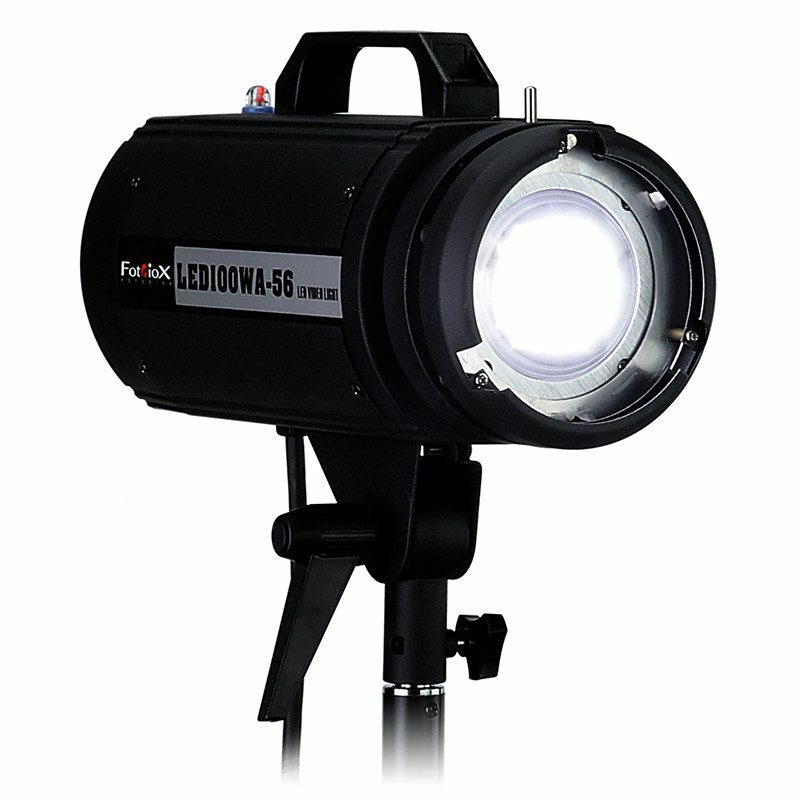 On its launch, Fotodiox promoted the LED100WA as an “LED strobe”, causing confusion among customers who took this to mean it put out more than just continuous light. Of course it is not a strobe at all — this is. There are two different Fotodiox LED lights: the LED100WA-56 with daylight-balanced (5600K) colour temperature and the LED1000WA-32, designed to match tungsten (3200K) lights. Fotodiox also offers a wide range of cheap studio lighting accessories that can be paired with the lights. Jinbei’s EF-100 was one of the first Bowens-mount LED lights on the market, and is still fairly unique in that it is one of the only products in this category offering wireless remote control. 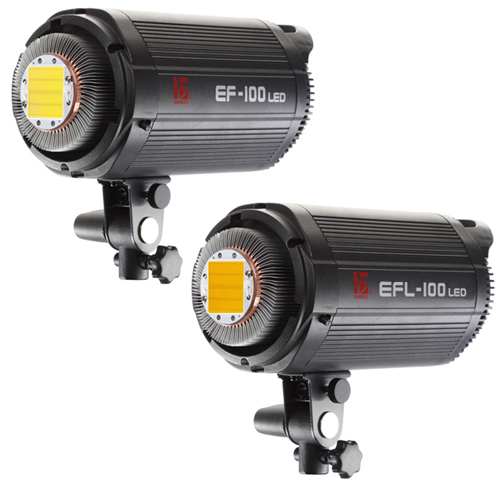 The Sun Light is now available in two versions: the plain EF-100 for daylight-balanced output and an EFL-100 to match tungsten-coloured lights, each meant to have equivalent brightness of a 1kW tungsten light while drawing just 10% of the power. All units support 100–240V AC supplies. We reviewed the EF-100 late last year, finding it to be “a very robust and reliable system” though the light output was not as perfectly colour-balanced to 5600 Kelvin as we might have hoped. Each head costs around $350. In the UK it is sold under the Lencarta brand for £400. Update: This is also being rebranded in Bulgaria as the Dynaphos Iceberg E-100 (€300). 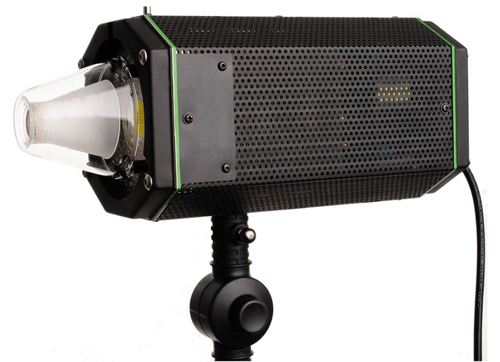 The company behind the N-Flash is offering a number of Bowens-mount LEDs. Unlike the other brands listed here which are all 100 watts, NiceFoto is offering a range of different power options including 20W, 50W, 100W and 150W, each one dimmable with a digital display. Because the manufacturer is recycling the cases from their studio flash lines, you even get a “decorative cover” where the optical slave cell usually sits. There is a “silent” cooling fan and universal voltage support. The lower-powered heads are 2.7kg and the larger ones 3.5kg each. Prices range from US$180 to $280 per head. 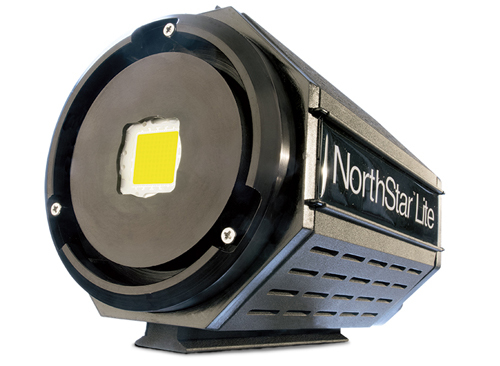 Just announced in April, the NorthStar Lite is not available yet, but should be coming out at some point this year. It is another 100-watt lamp with a listed equivalent output to a 1kW tungsten light. The light stand bracket can slide back and forth for the optimal positioning when balancing the unit with heavy front-mounted accessories. Photoflex says the “120° light dispersion is perfect for softboxes and reflectors” and the whole thing weighs 2.3kg. Prices have not been announced so far. At €905 / £825 the LED400 from Priolite doesn’t come cheap, but it does offer the most features out of this list. It’s battery-powered, taking a removable lithium battery, so no need to worry about dangling cables or bulky power supplies. You can fit both Bowens and Hensel accessories to the front while shifting the head back and forth on its bracket for optimum balance. The 2.4GHz remote control — the same as that used in other Priolites — is by far the most advanced out of the products listed here. 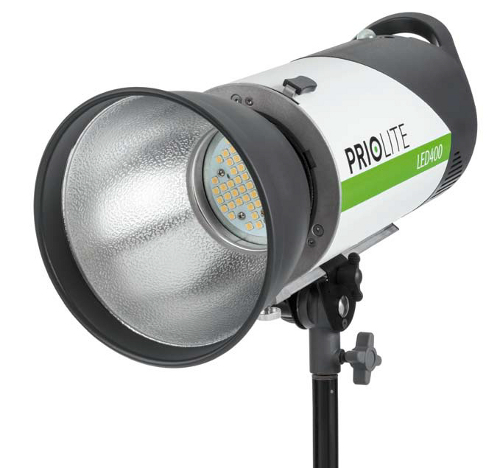 The Priolite LED400 weighs 2.9kg (including the battery) and supposedly puts out the same amount of light as a 400-watt halogen bulb, at a colour temperature of 6000 Kelvin. The battery will last one hour at full blast and around eight hours at the minimum power level, according to the manufacturer. The claimed colour rendering index of 95 is the highest out of all the lights in this list. The HPL-1600 from Tristar has a bit of an industrial look to it, and also a rather unusual conical dome over the LED array. It draws 100 watts and has three switchable power levels: full, half and a quarter power. The colour temperature is 5200K with a rendering index (CRI) of 82. The device accepts universal voltages, weighs 1.8kg and has a built-in cooling fan. 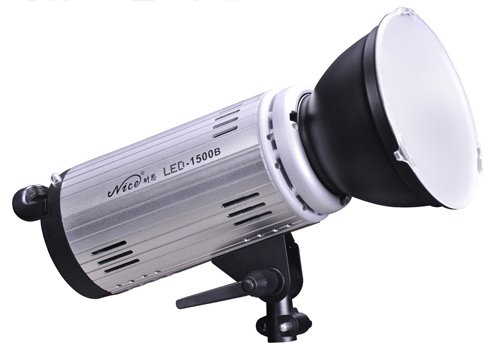 In Germany this light is sold as the Helios Studioleuchte LED 100W for €249. One of our readers, Christopher Adolph, wrote in to us to report on his impressions at a local dealer. Apparently “the light output was much better [than] the Jinbei EF-100”, with a side-by-side comparison suggesting the Jinbei has a “strong yellow cast” while the Helios looks “a little bit magenta”. American lighting maker FJ Westcott is promoting their Skylux LED as a cut above the competition, with a high claimed colour index of 94, supposedly “pristine 5600K continuous output” and quiet operation. The light is dimmable from full power down to 30%. The all-metal head weighs 1.9k and the power supply 1.5kg. 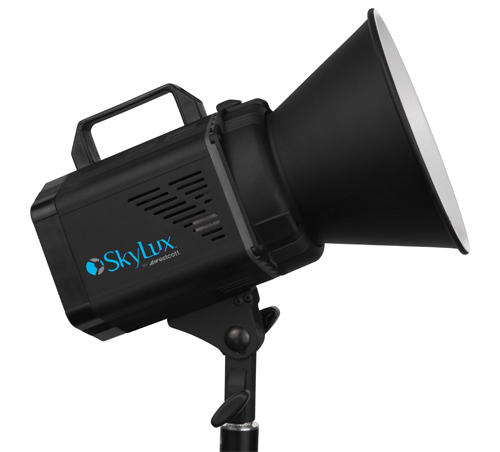 It has a fairly high recommended retail price of $1,199.90, but B&H is offering it for $200 less, with various value-added Skylux lighting kits also currently available for pre-order. What do you think of these kinds of lights — can you see yourself using them? Have I missed anything? Leave a comment below.